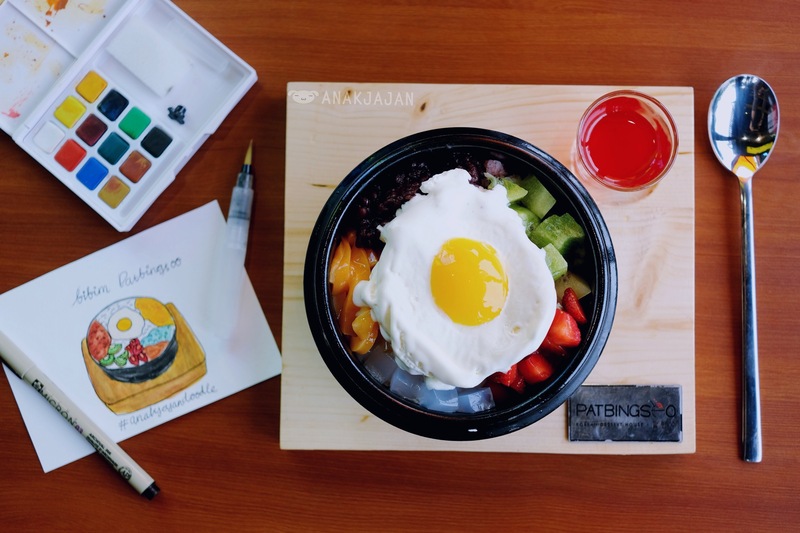 PatBingSoo is a Korean dessert house opened by the same owner of Seorae Indonesia. 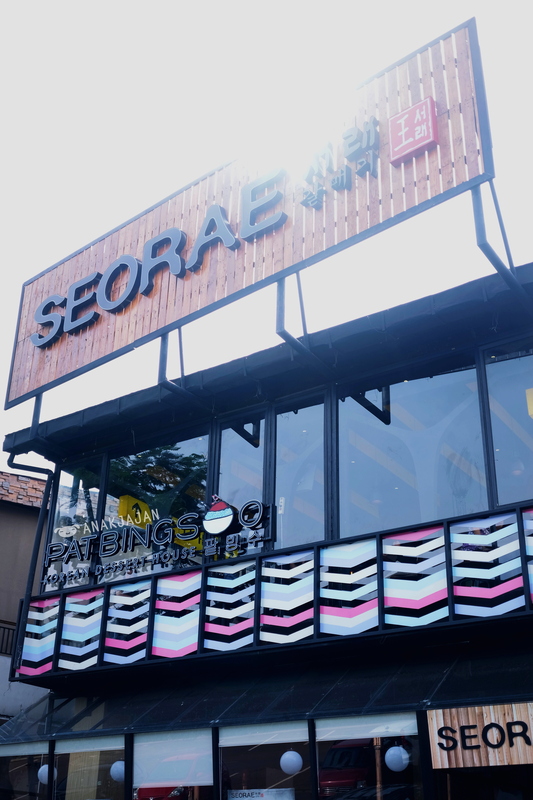 That’s why when you enter this store you can clearly see the red line on the interior between PatBingSoo and Seorae. 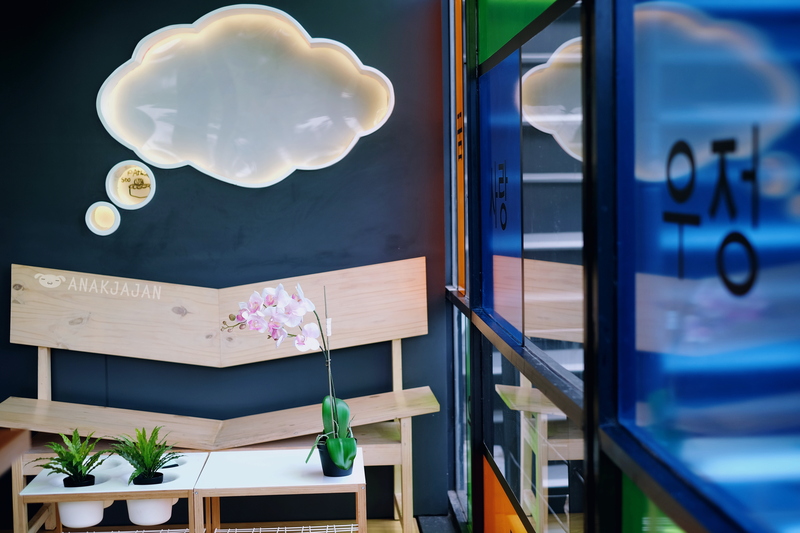 Interior inside PatBingSoo is rather playful with subway station concept. 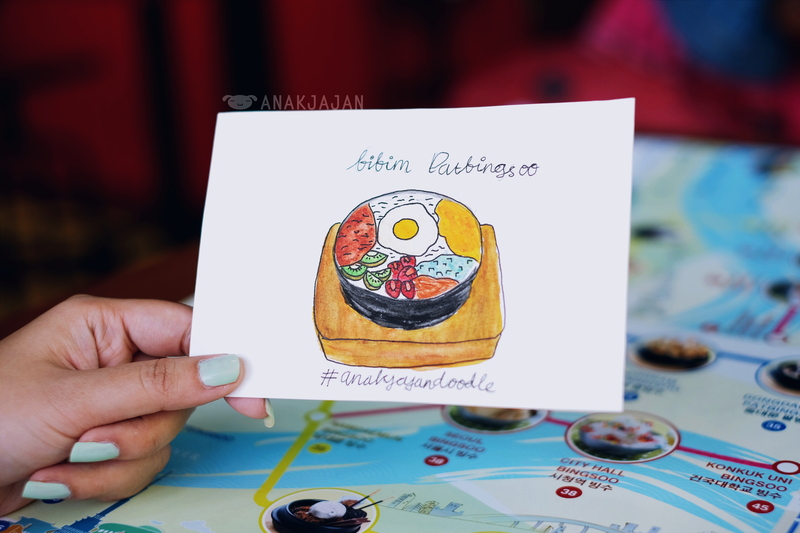 Talking about the menu here, PatBingSoo or Korean Shaved Ice dessert is their signature dish here, but if you are more into savory dish, don’t worry because they also serve scrumptious Korean snacks. 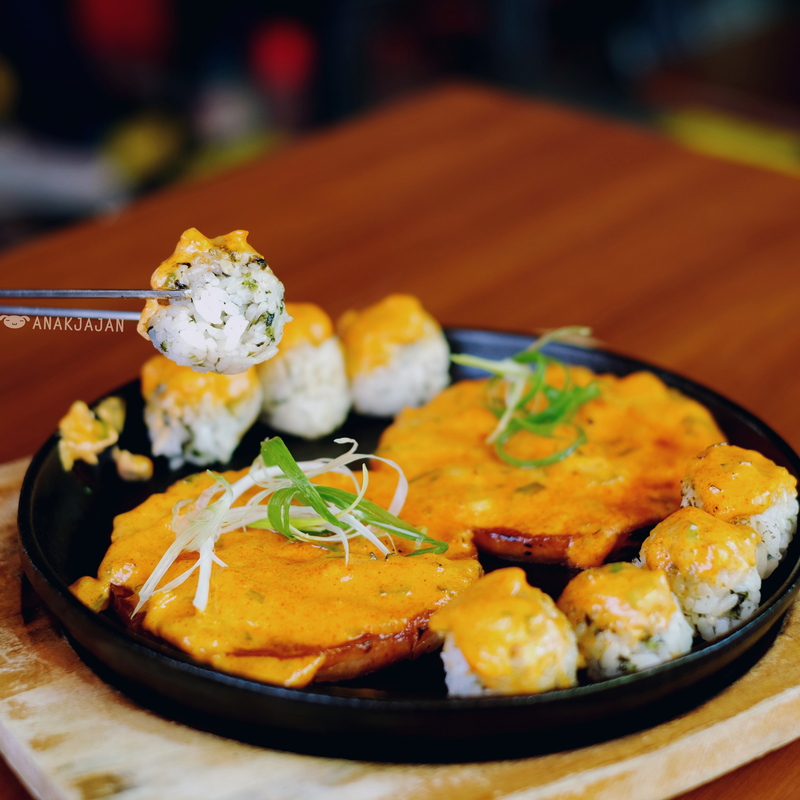 This portion of Dynamite Spam consist of Seaweed Rice Balls and slices of Spam topped with spicy creamy sauce on top. 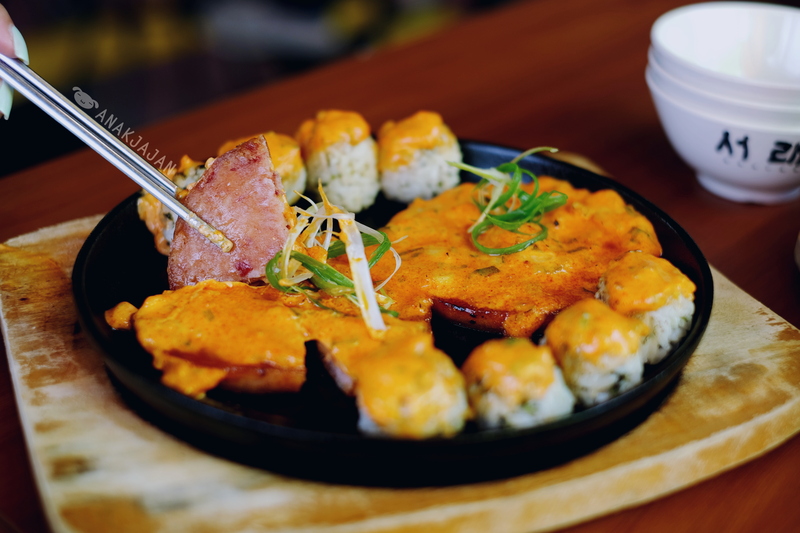 The creamy sauce tasted kinda like a spicy version of mayo sauce, the sauce was too much for me personally. I would prefer less sauce on top. Cheese p0rn alert!! 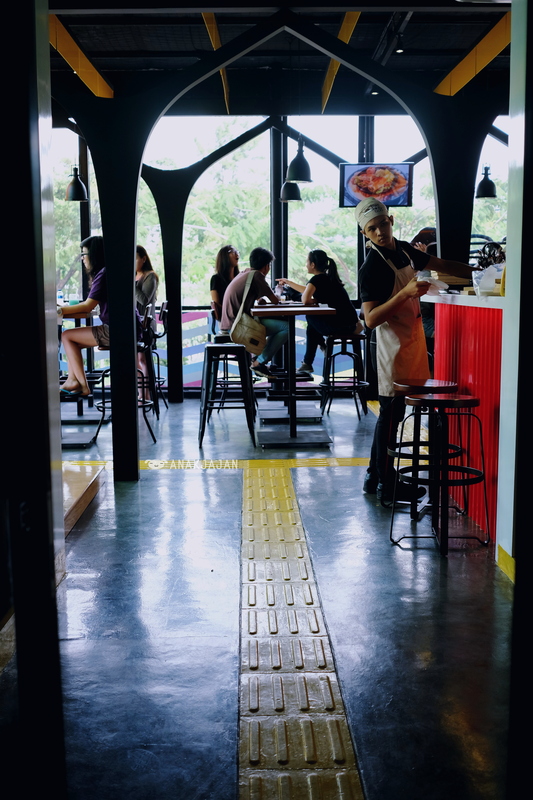 This menu is a super must order!! 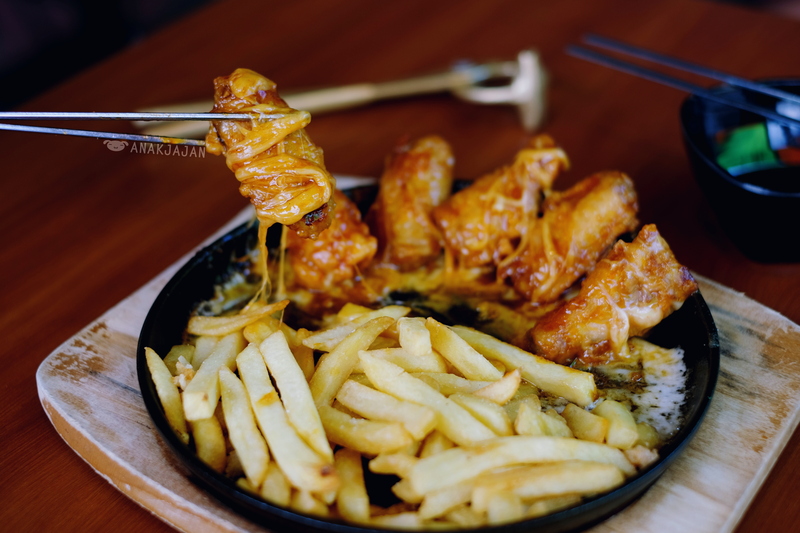 Basically when u order it, waiter will melt the cheese and roll the chicken wings with melting cheese. 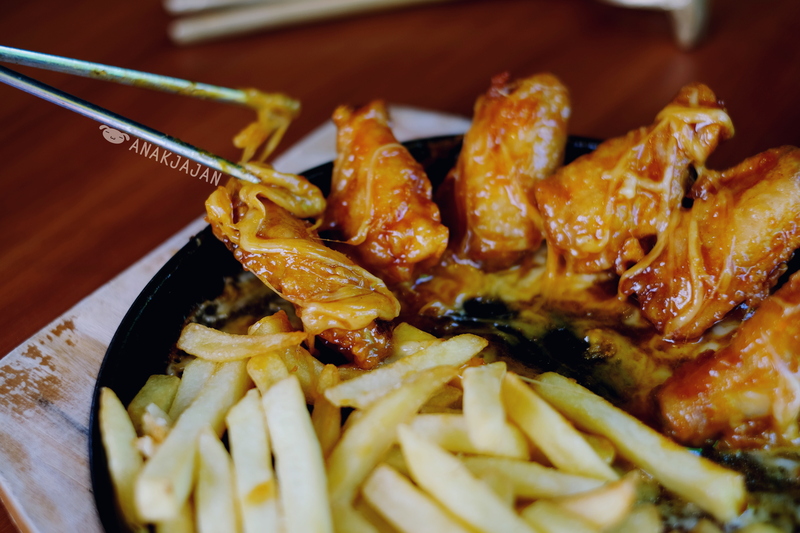 The chicken wings were tasty with sweet savory base sauce and taste even better when you pair it with savory melting cheese resulting a flavor explosion in your mouth! 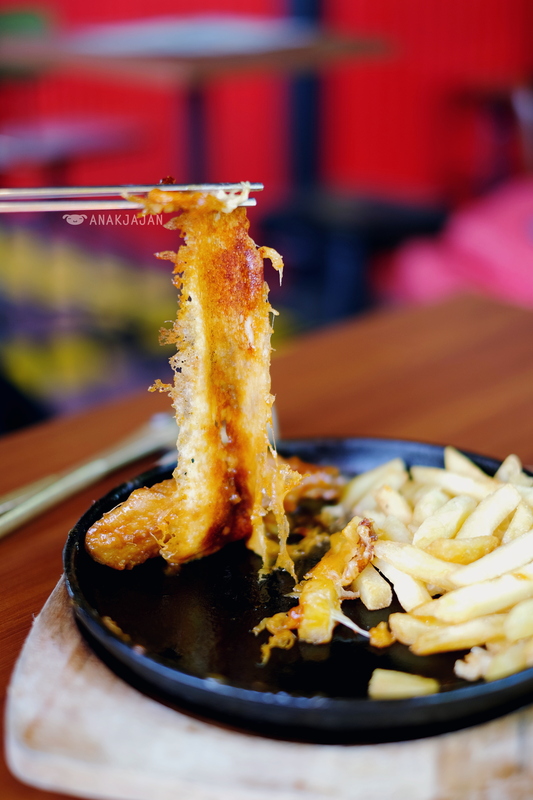 Don’t forget to eat the sinfully delicious cheese crust on top of the hot plate. 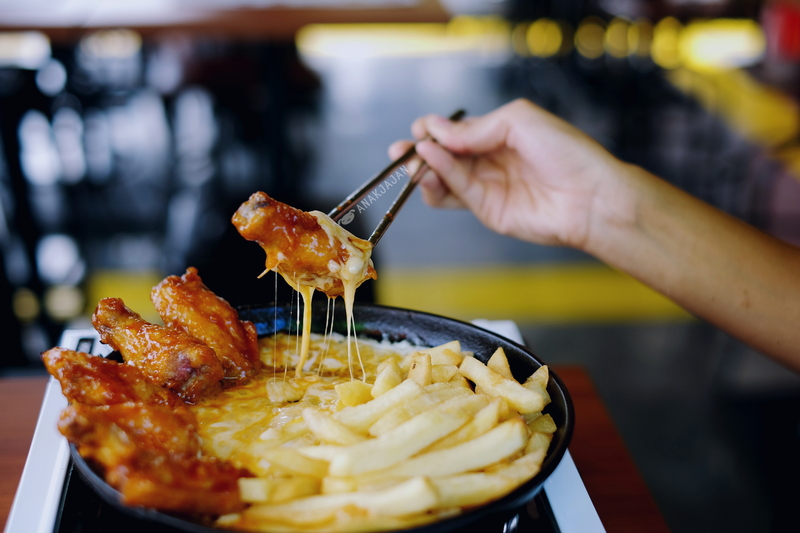 Besides spicy you can also have your chicken wings with honey seasoning. 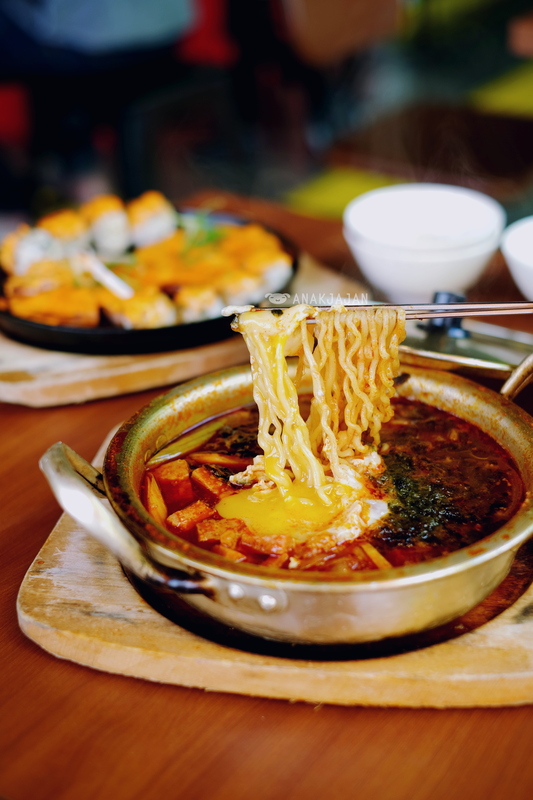 Korean ramyeon with egg, seaweed and spam. The broth was spicy and full of seaweed aroma. 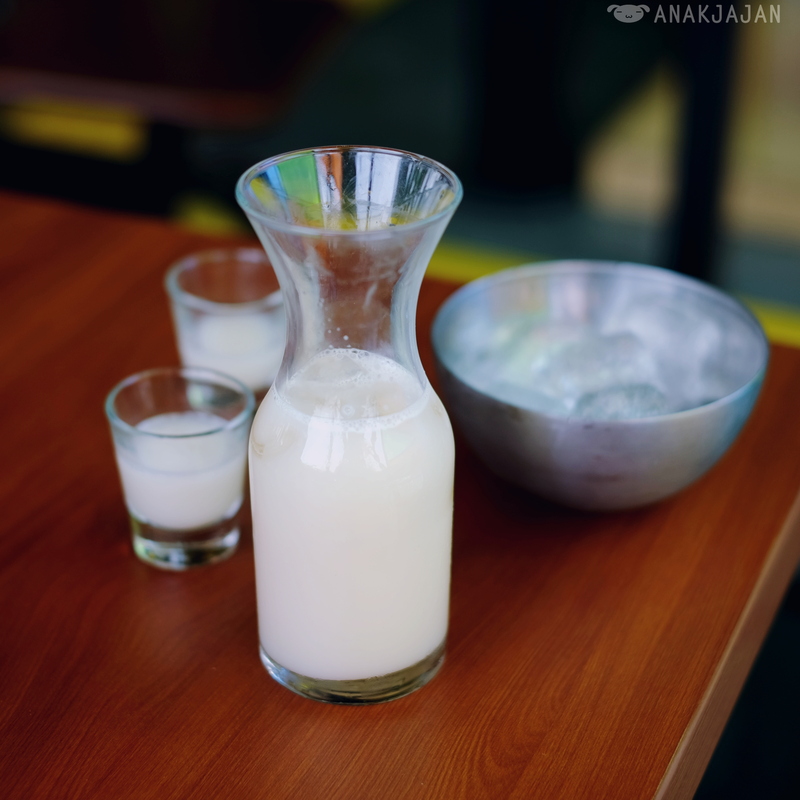 The composition between soju and yakult just in the right amount, AnakJajan can clearly taste the soju a long with the yakult flavor. 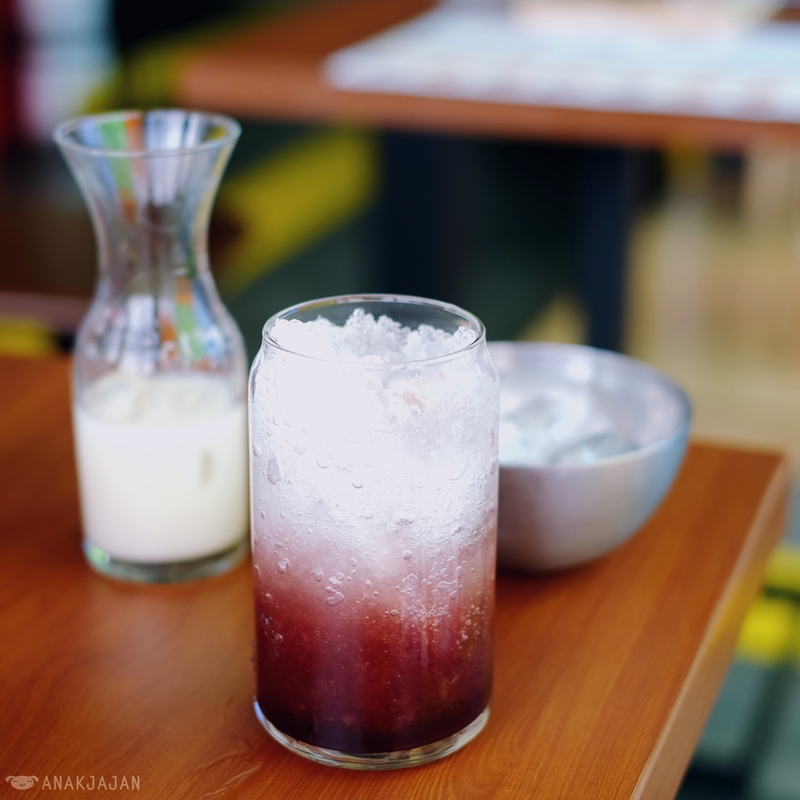 Besides Yakult, you also can have your Soju with other flavors such as Apple, Lychee, Peach and Coffee. 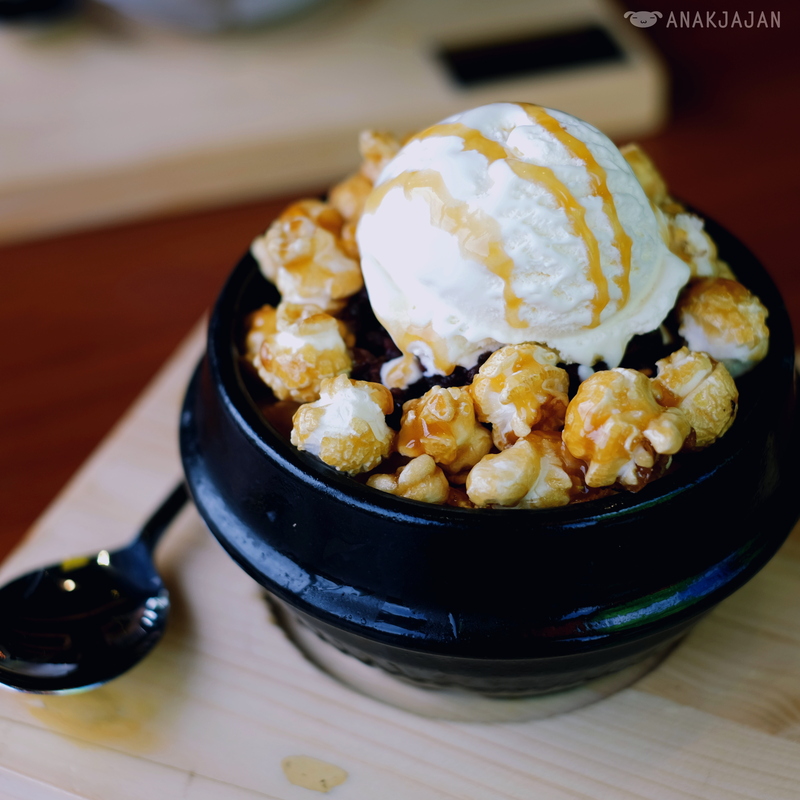 Consist of popcorn, pat, cornflakes, caramel, vanilla ice cream. 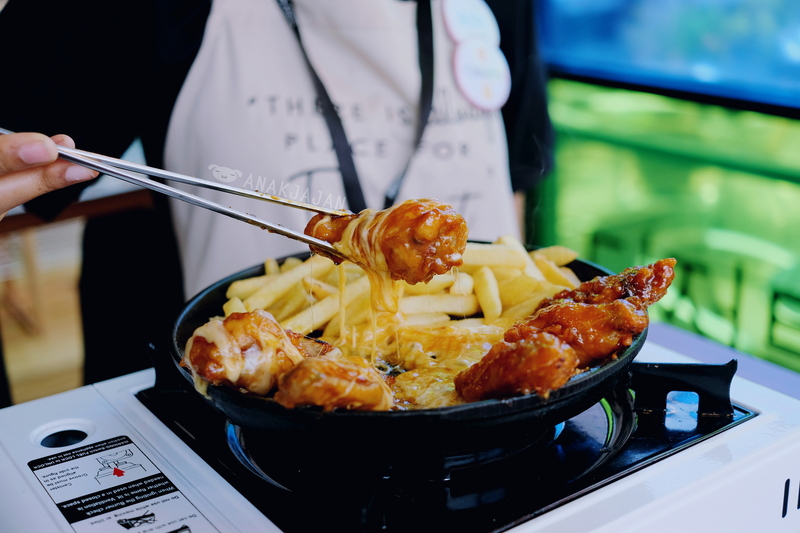 The best way to eat Patbigsoo is by mixing all of the ingredients well. 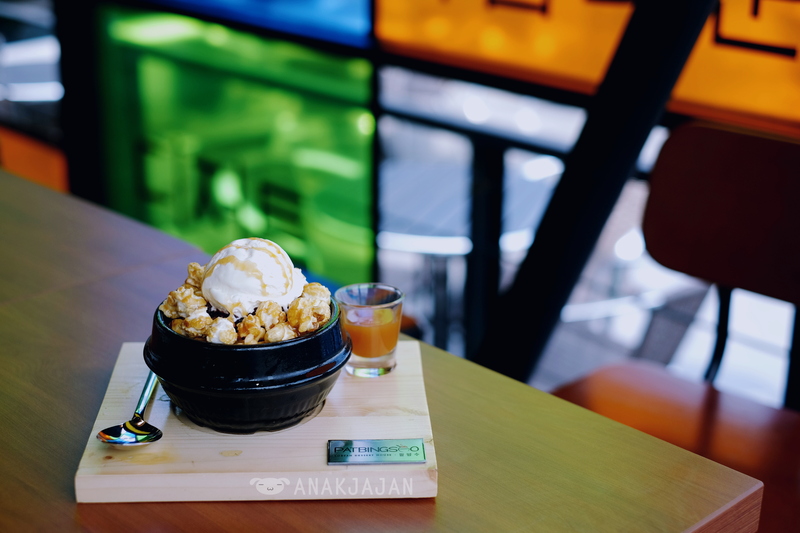 AnakJajan love the crunchy texture from the use of cornflakes and popcorn. 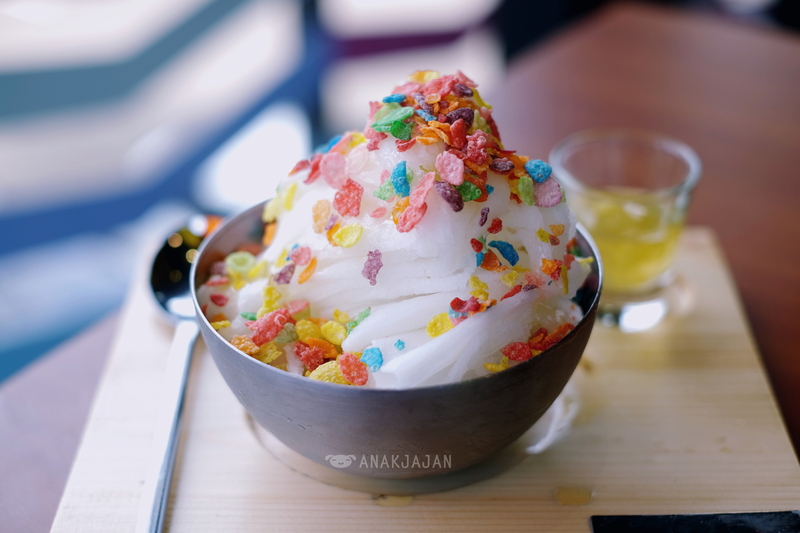 Plum shaved ice with plum, fruity flakes and plum sauce. 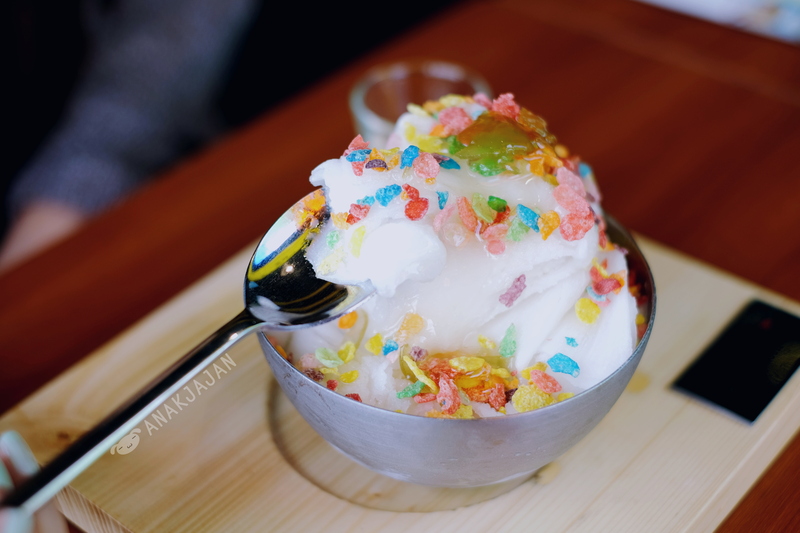 It was fruity sweet with just a lil bit of sour taste, but I personally find it a bit too sweet for my liking. I recommend you to add the plum sauce gradually so it won’t be too sweet. 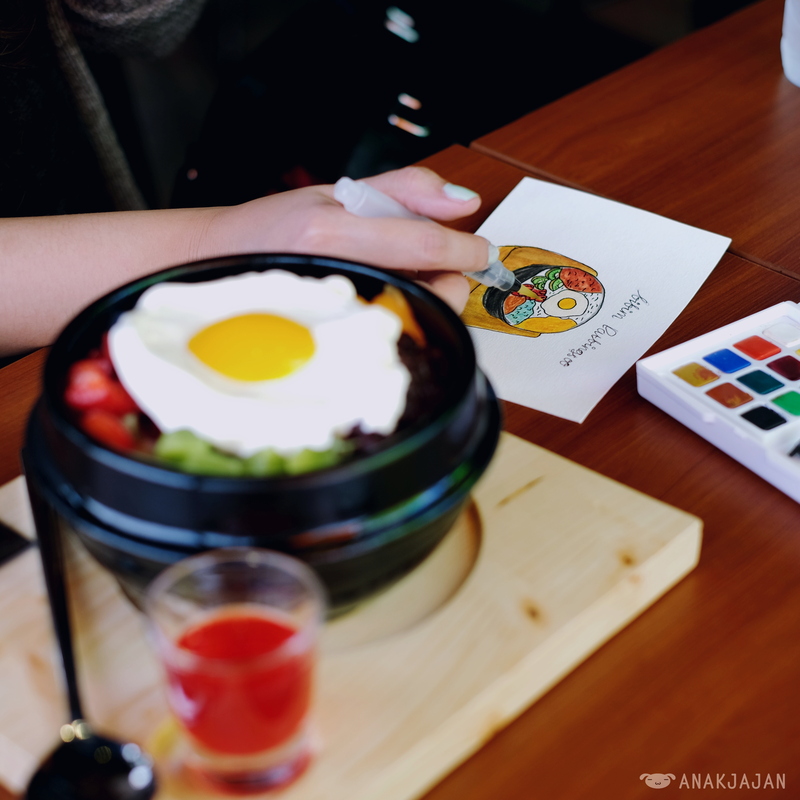 No no noo this is not a bowl of bibimbap. 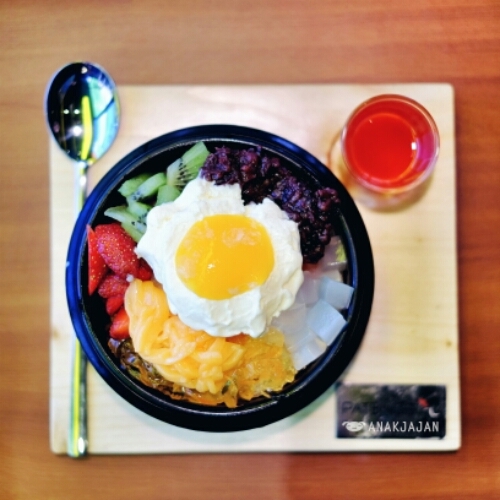 It is a bowl of Korean shaved ice dessert consist of fruits, jelly, pat, strawberry sauce, vanilla ice cream with an unique plating looking like a bowl of rice topped with sunny side up egg made from vanilla ice cream & peach fruit. 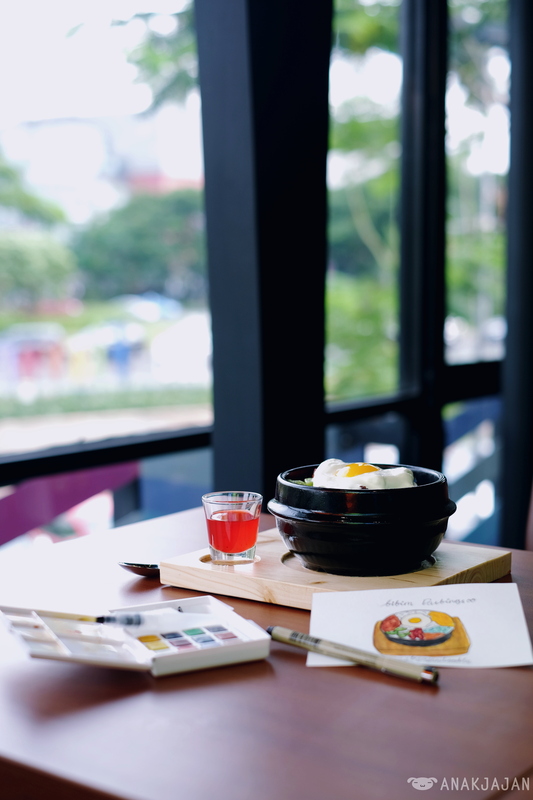 Overall, PatBingSoo offers interesting Korean dessert and snacks, now we have more reason visit Alam Sutera. Let’s Jajan!! 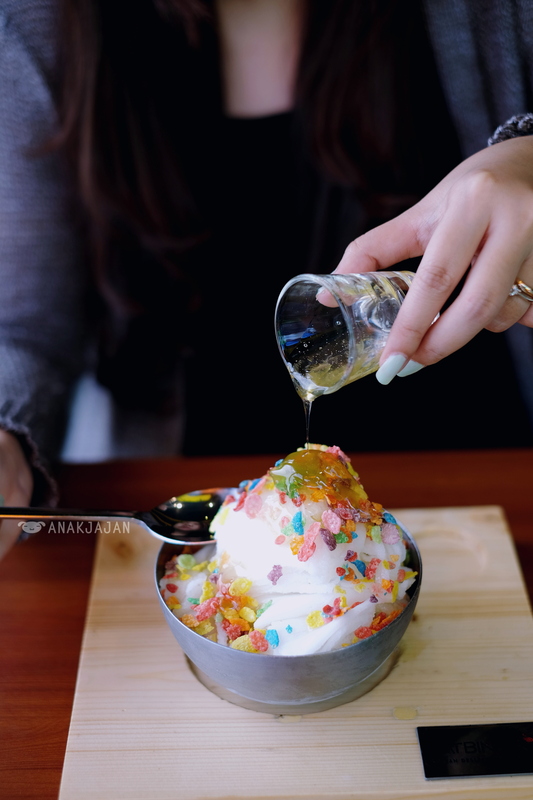 I didn’t know about this Korean dessert house. 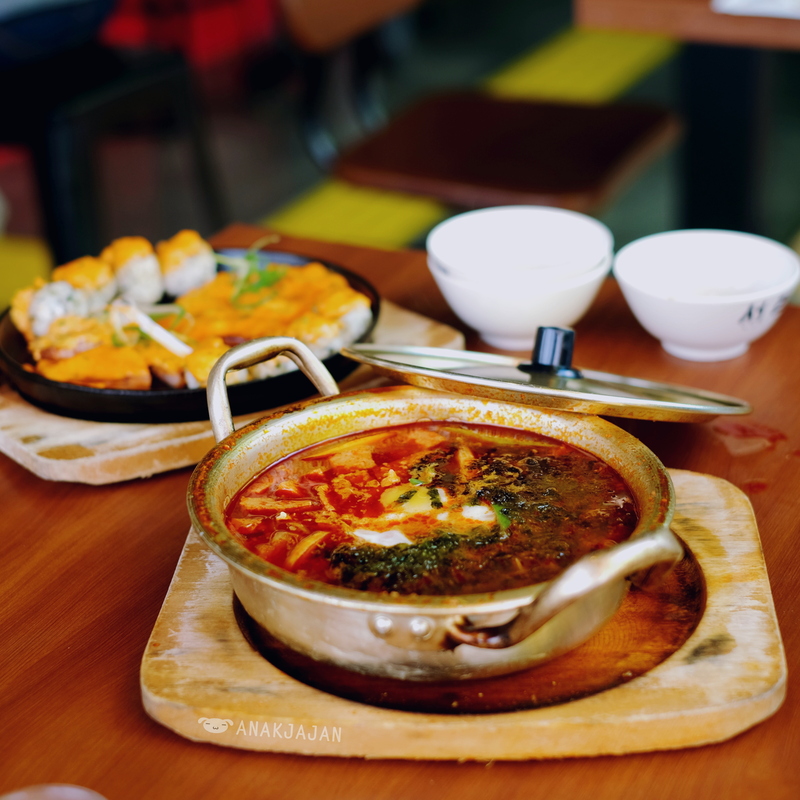 I had wish to taste some Korean food. I will try then. Thanks for the information. 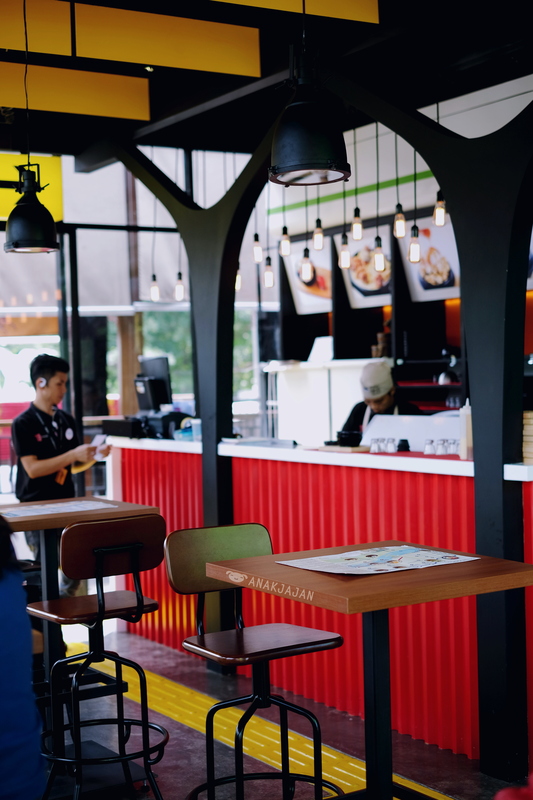 ahhh yummy banget, kenapa harus di alam sutera sih hikssss….